This cheese cake does not have a crust so it is a bit easier than most cheese cakes. You can buy pralines if you want and I would suggest you try it first with store bought pralines as they can be a bit of a pain to make. I was in the mood for some pralines for icecream and by the time I got back from the grocery store I had all the stuff to make the cheesecake..
- Using a double boiler, melt choclolate. 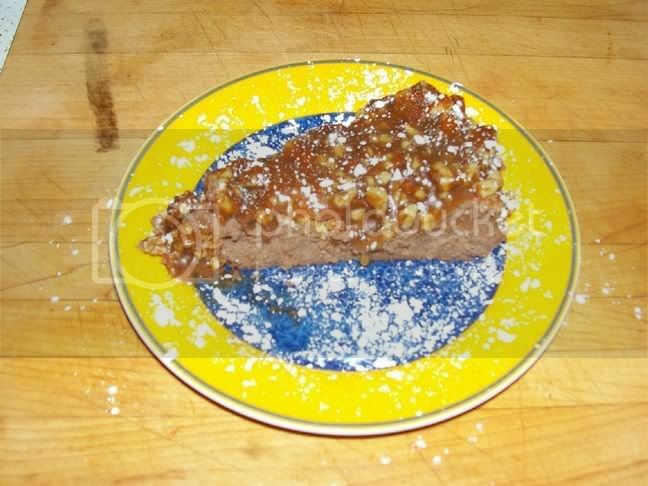 - In a large bowl, using an electric hand mixer, beat cream cheese until soft. - Add sugar and blend until smooth. - Add Vanilla and incoporate. - While beating cream cheese, add chocolate and cocoa powder and blend till uniform and smooth. - While beating, add one egg at a time and blend in before adding the next one. - Lightly butter springform pan and dust with flour. - Pour in batter and bake at 300 degrees for one hour. Check cake after 30 minutes and turn cake so it cooks evenly. - When one hour has past, turn off oven and let the cake rest in the oven for 20 minutes. this should keep the cake from falling..
- After the hour has passed, remove cake and allow to cool completely. 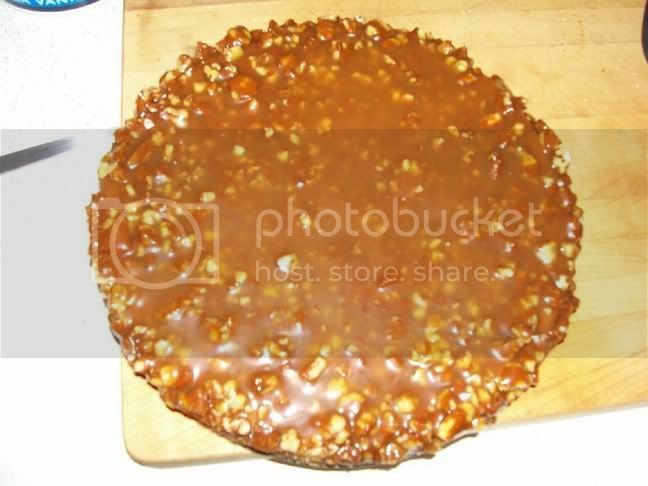 - Top with pralines and spread them evenly. - Drizzle on butterscotch covering pralines entirely. - Refridgerate over night for best results. Last edited by ROXY on Thu Nov 16, 2006 2:02 pm, edited 1 time in total. Unbelievable!! I have got to try that. Roxy I am going to make this for the holidays this year. It is sure to be a hit what a wonderful recipe. Heres a pic of what it looks like Diva. ROXY wrote: Heres a pic of what it looks like Diva. Damn I may have to make a few. I will PM you the address so you can forward the weekly cheques..